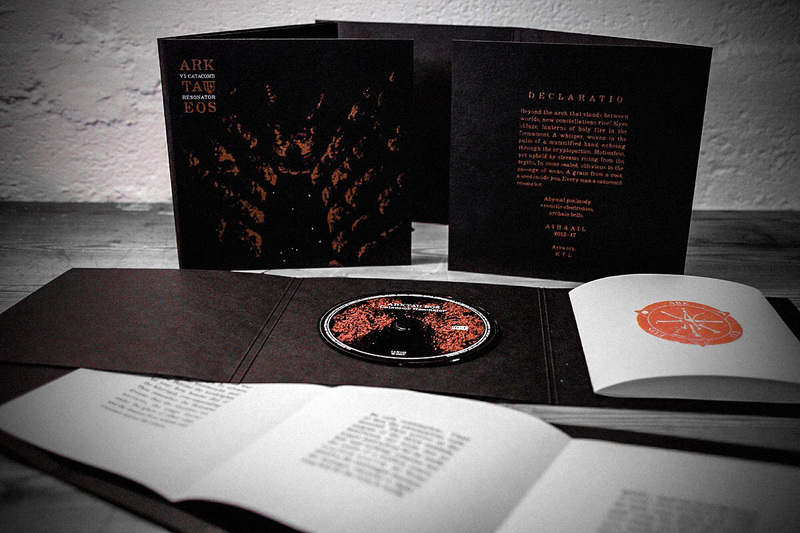 Arktau Eos return with another brilliant ritual ambient piece. 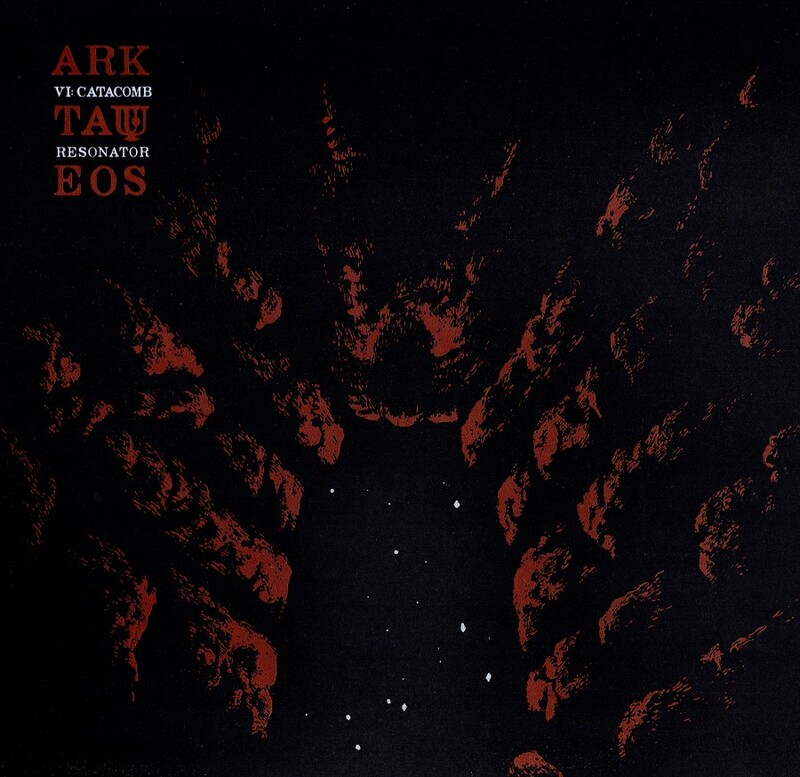 Since their debut Mirorrion, Arktau Eos have been defining leaders in the ritual ambient scene. There music takes listeners on a spiritual journey, leading to ends which can’t be defined. Aural Hypnox has taken pride, over the last decade, in creating output which connects on a very personal level with their followers. The soundscapes are first and foremost ritualistic. Each project on the label has their own unique way of creating this atmosphere. 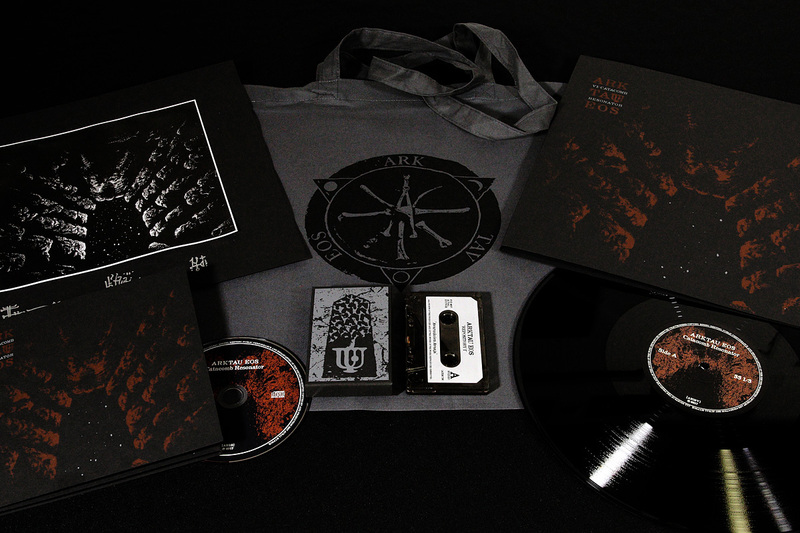 While a project like Lingua Fungi comes close to a more musical framework, Arktau Eos has often shown the most primal elements of the ritual ambient genre. On Mirrorion, Arktau Eos covered a lot of ground. Each track on the album tapped into the ritual ambient sound from a different perspective. While Scorpion Milk, it’s other half of sorts, was much more minimal and focused on a specific sound. Their sixth and latest release, Catacomb Resonator, is most closely comparable to Scorpion Milk. There is all the attention to detail that would be expected of an Aural Hypnox artist, but Catacomb Resonator, like the aforementioned Scorpion Milk, is one of the most minimal releases in the label’s history. The main instrument used on Catacomb Resonator seems to be the human voice. There is a sort of rhythm to it, as the music slowly climbs to a peak and then returns to silence just as gently. The rest of the soundscapes are constructed of what appear to be predominately synthetic elements, minimal dronework that rises and falls in synch with the vocals. The use of light drones adds another layer to its subliminal depth. The contrast of human vocals to synthesized drones gives the perfect balance between nature and the machine. When devoting full attention to the release, in a sort of meditation, it was easy for me to feel my breathing synchronize with the fluctuations in the music. In fact, Catacomb Resonator could likely be the most successful Aural Hypnox release to date, in regards to its usefulness as a meditation tool. The sounds of the album are quite subdued, giving the listener the ability to fully drift from the physical world, allowing the mind’s eye to take the lead. Catacomb Resonator is the second Aural Hypnox release to be offered in the vinyl format. As with the recent Aeoga release Obsidian Outlander (which was reviewed here), Catacomb Resonator is presented on black vinyl with packaging that highlights the Aural Hypnox do-it-yourself aesthetic, with emphasis on originality and simple yet elegant designs. The CD version uses a very old paper stock, which was discovered in storage by the label, giving the CD format its own unique charm. The album was also released in a special collector’s edition which included both vinyl and CD as well as a cassette with additional content. Unfortunately for anyone interested, this edition sold-out almost immediately and extreme mark-ups should be expected on any available second-hand. As is always the case with Aural Hypnox, readers will not find the album in any of the usual online music services like Spotify, Bandcamp or iTunes. While this can clearly present a problem for potential new listeners, veteran fans of the Aural Hypnox label will have already learned that previewing a new release is rarely necessary, as their quality of output is so consistent. Veteran listeners of the Aural Hypnox label will find nothing unusual with Catacomb Resonator. It is a welcome addition to an already impressive catalog of releases. For newcomers to the label, Catacomb Resonator should prove to be a perfect album to introduce to listeners. The ritual elements are strong, but the energy levels are more subdued than will be found on many Aural Hypnox releases. I can safely recommend this release to any fans of the ritual ambient genre. Arktau Eos are tried and true leaders of the genre, and Catacomb Resonator serves perfectly to reinforce this claim.